Let me tell you now that I’m not a mountain climber or an extreme snowboarder; I am a tourist looking for an adventure, just like you. Iceland is an extreme environment and the weather changes from clear to driving snowstorms very quickly, so you need the correct clothing to gaze at the landscape or search for the Northern Lights. My pair of Scarpa Kailash Gore-Tex boots are comfortable and offered great grip in the snow (but be careful on ice, especially while shopping in Reykjavik, however most of the main street pavements are cleared). The Snow+Rock staff in-store really took the time to make sure that by boots fitted me correctly. I chose Icebreaker Apex leggings, Tech 260 long sleeve and Hike+ Mid Crew socks. The super soft and odour-resistant merino wool sets these apart from cheaper base layer systems. We wore them for six days straight, and even the socks did not develop a bad smell! I kept the Icebreaker Atom Long Sleeve Zip in my pack in case conditions required it. It’s a thin layer, so it’s easy to carry around. The North Face Timber Full Zip Fleece is easy to take off when in vehicles and features a useful, easy-to-access vertical zip breast pocket. The North Face Thermoball TriClimate Jacket is ultralight and provides good protection against wet and windy conditions. The hood does not impair your vision while the jacket itself work well with the layers without adding bulk. 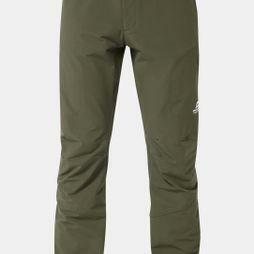 The Mountain Equipment Ibex Pant is lightweight and flexible with zip pockets for storing small essentials like money. My trusty Riggler beanie is warm, comfortable and secure, even in snowstorms at sea! 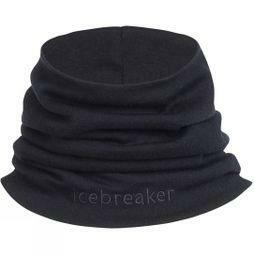 Instead of a scarf, the Icebreaker Apex Chute is easy to pull over the face when it’s cold, and small enough to stuff in your pocket when it’s warmer. I recommend Superjeep for great adventures. They take six passengers and the drivers are Icelanders experienced in all-weather conditions, so that you’re in safe hands. These mini monster trucks are more fun than the big coach tours too. As well as taking you to all of the classic sites like geysers, bubbling lakes and other natural wonders, they venture off-road into the deepest snow (the jeeps roll around all over the place, so take motion sickness tablets if you get queasy). The jeeps and super-skilled driver got us to the top of a mountain in bleak conditions. They go up some really steep inclines, often taking several runs for an amazing rollercoaster ride (you’re all strapped in, so just sit back and enjoy it). If you’re a daredevil, you can also try snowmobiling at the mountain base. Make sure that the jeep is out of view for your summit shot so you can tell your mates you climbed it! The best season to find the Northern Lights is September-January, but during winter many nights can still be cloudy. Superjeep drive you out into the night far away from the city lights to get the best views and to talk to each other by radio to find the best locations. The colours that you see are actually more vivid in shots than to the naked eye, so keep snapping! Ask your tour guide for the best camera settings (Superjeep can take photos for you, post them on Facebook and even send you high-res copies). Superjeep even provided fireworks and vodka hot chocolate to spice up the night. Nature is unpredictable, so Superjeep will cancel their tour and give you a chance to rebook or get a refund if they think there is no chance to see the Northern Lights due to the weather conditions. The Blue lagoon is a relaxing must for any trip to Iceland. You must book in advance and get picked up from your hotel (you might face a long wait or not getting in at all if you just turn up). Go for the premium option so you won’t have to queue; you get a towel, robe, selection of creams, face mask and slippers. I also recommend booking a private, 30-minute massage and reserving seats in the outstanding Lava Restaurant for lunch (you can stay in your robes for this). There is a bar in the lagoon where you get a free drink with premium entry and you can pay for more using your wristband. When you come out of the changing rooms, rather than enter the lagoon through the front door which is extremely cold, you can wimp out and turn left so that you can get in and out of the water through a side door. You will notice the pool is not very hot when you get in but there are hotspots around the lagoon if you like it toasty. The bottom of the lagoon is natural rock rather than super smooth like a pool, so lift your feet and walk rather than skim along to avoid stubbing toes. To fit all of this in, arrive at 9am, go to lunch at 12pm, book your massage for 1.45pm and return on the 3pm Grey Line. The Gullfoss Waterfalls are an inspiring and immense force of nature. Wrap up well here as it gets very cold, especially when you climb the stairs to the top, which can be very windy. The Strokkur Geyser at the Geysir Hot Springs (part of the Superjeep Golden Circle Tour) erupts every 3-5 minutes. You can have fun if you’re trying to video a geyser from start to finish as it’s not quite like clockwork and doesn’t give you many clues as to when it’s going to go off. At this time of year the sun rises around 11.30am and looks stunning over this area. The landscapes are stunning. Iceland’s geothermal activity creates a dramatic landscape with bubbling pools and hot sand around warm lakes where they bake Rúgbrauð, also known as ‘Thunder Bread’. Be careful not to burn yourself, the water and sand can be close to boiling in some places! There are many restaurants and cafes in Reykjavik that range from pizzas and burgers to fine dining, with puffin, whale and reindeer on the menu. Mikkeller and Friends. They have a varied menu of small plates and pizza. I would recommend the small plates of smoked lamb and the bar with over 20 different beers. Apotek. This fine dining establishment features chefs from the famous elBulli, the best 3-star restaurant on the planet until it closed in 2011. It’s pricey but worth it with very generous portions that will leave you full and satisfied. They also have a great cocktail menu. Kaffislippur. Walk along the harbour for views of the mountains and try this cafe for a cosy fire, books to read, amazing hot Omnom Chocolate, and avocado on toast. Café Loki. You may also want to check out Loki in front of the church at the top the hill on the main high street for authentic Icelandic food where the locals eat. There are plenty of local crafts, pottery, knitted things and gift shops in Reykjavik to compliment the cafes and ice cream parlours. You can also claim tax back on goods bought in Iceland at the airport after check in, so leave yourself plenty of time on your return back. Don't Try to do it All! We visited Iceland for six days but we could have also gone whale watching, volcano and glacier hiking, snorkelling and horse riding. Don’t try to pack all of this into one week – go back again! A company called Travel Counsellors created our trip. A childhood desire to see the midnight sun led me to the mountains on the border of Sweden and Norway, within the Arctic Circle. A 26hour train journey from Stockholm to Katterjok and then a trail from there up into the mountains, my Arc’teryx Bora 80 carrying everything needed for 10 days in the wilderness, including my fly fishing kit. If you're looking for real adventure and unique experiences this season, load your trekking backpack and dust off your hiking boots for these incredible and undiscovered escapes from around the world.